There are times when a Truck Mounted Crane just isnt quite enough. No matter how big the crane is! This is why its great to know that your Transport and/or HIAB supplier has built links with, and works with an expert site crane provider. 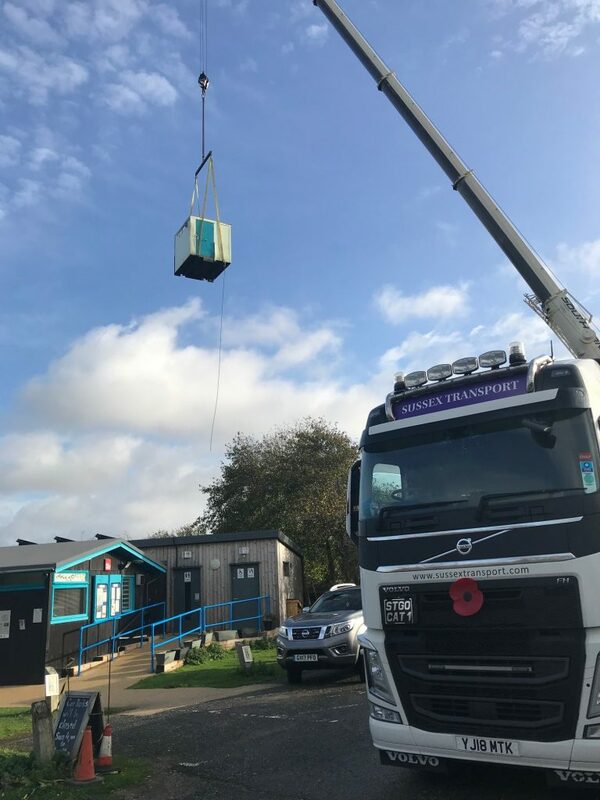 Last week in Selsey we provided a full contract lift service to a client that needed a container and toilet block moved into a position that a truck-mounted crane could never reach. 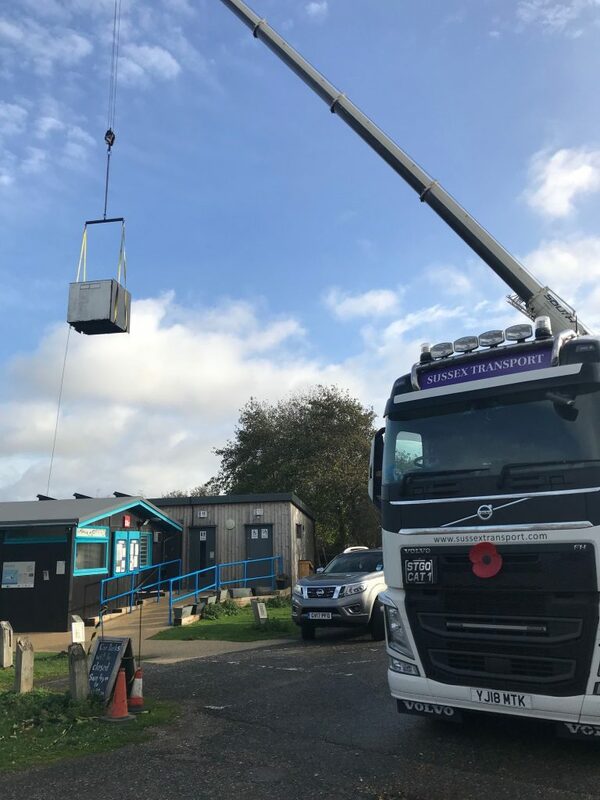 We drafted in a 90ton mobile crane to lift the 20ft container and 10ft toilet block into position nr Selsey, Chichester, West Sussex. We supplied the full lifting team along with all the necessary documentation and the lift was carried out to the client’s complete satisfaction. Touch base with our lifting experts if you have any questions regarding your lifting project. This entry was posted in Delivering to..., News, Where are Sussex Transport going..., Where are Sussex Transport.... Bookmark the permalink.